As an adventurous cook and eater, I thought there wasn’t much I hadn’t tried—or at least heard of—until an impromptu fall dinner at our friends’ house in Tesuque. Sitting at their large kitchen island, margarita in hand, I caught a whiff of the stew simmering in a Dutch oven atop the stove. The mouth-watering aroma suggested Southwestern cuisine, but was too complex to define. I knew we were in for a treat—but what the heck was it? “Chicos,” pronounced our friend—Jay Cawley, an inventive cook. Noting my puzzled look, and knowing that I was relatively new to New Mexico, Jay reached into a cupboard for a bag filled with dried kernels of what looked like flecked, wrinkled popcorn. He explained that chicos (Spanish for “small”) have been a staple of Southwest cooking since the days of the Ancestral Puebloans, and are still prepared using the same millennia-old, labor-intensive method. 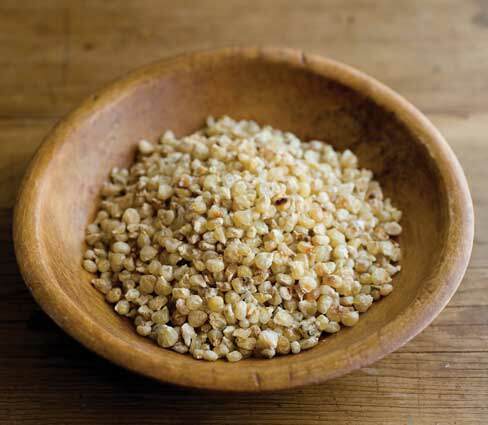 Unlike posole, which consists of hulled corn kernels that have been stripped of their bran and germ, chicos are made by steaming whole ears of corn in the husk and then drying them. As I was about to discover, chicos have a delightful smoky flavor unlike that of any corn product I’ve ever tasted. Jay bases his dish on a traditional Native American recipe that combines chicos, meat, onion, and chiles. “Cooked outside on an open fire, it was your basic comfort food, designed to get people through the winter in tough times,” he said. 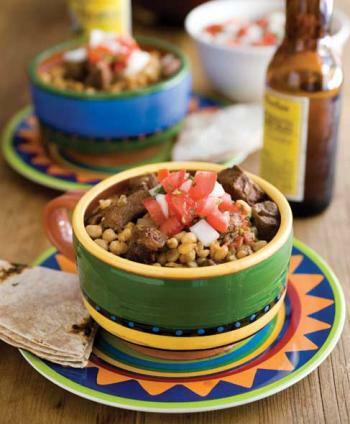 The delicious stew led me on a quest for chicos, and now I see them everywhere—at farmers’ markets, in local supermarkets and co-ops, at the Santa Fe Five & Dime, even on Amazon.com. The best chicos are still made in the time-honored fashion by local farmers, such as Rancho La Jolla in Velarde, Schwebach Farms in Moriarty, and the Martinez Farm in Nambé. As I learned from them, this is genuinely slow food. “We take ears of white, sweet corn that is still in the husks, and lay them in a big horno, or outdoor adobe oven, and cover them with wet potato sacks,” says Shirley Martinez of Martinez Farms, which produces more than 100 pounds of chicos a year. “We make a hot wood fire, cover the horno completely with adobe and mud, and leave the corn to steam overnight, which gives chicos their smoky flavor. We take the corn out the next day, pull the husks all the way back, and hang them to sun-dry for at least a week.” The fruits of this fall’s labors, she says, will be sold next year. Fortunately for us, these farmers aren’t preserving only corn—they’re also preserving a rich New Mexico culinary tradition that we can enjoy in any season. Michele Ostrove is a Santa Fe–based writer, editor, and public relations specialist. She founded Wine Adventure, the first national wine magazine for women; organized New Mexico’s inaugural Restaurant Week; and hopes someday to find the time to make art from her collection of corks. Jay Cawley offers this version of a traditional recipe. Chop pork shoulder into bite-size pieces. Generously season with salt, pepper, and 1 tablespoon each ancho and chipotle chile powders. To hot, heavy skillet, add ¼ cup oil, then pork. When pork is browned but not fully cooked, add it to pot of chicos and broth. Cover and simmer 1 hour. Reserve skillet with remaining pork bits. Roast pasillo chile over open flame, turning frequently. When charred, place in bowl, cover with plastic wrap, and let sweat 10 minutes. Scrape off charred chile skin and remove cores, stems, seeds. Dice onions and pasillos. Heat skillet used to brown the pork and add 2 tablespoons oil. Add onions, pasillos, and remaining ancho and chipotle chile powders. When onions turn translucent, add mixture to pot of chicos. Simmer 1 hour, then salt to taste. 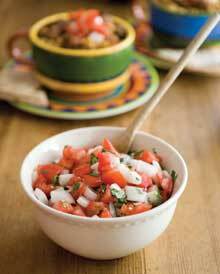 Top with pico de gallo (see following recipe), a dollop of sour cream, and a sprinkle of chopped cilantro. Serve with warmed tortillas and frosty margaritas. This fresh, uncooked condiment complements the robust flavors of the stew. You can also eat it with tortilla chips. In large bowl, toss together vegetables, sugar, and lime juice. Add beer and mix. Chill thoroughly before serving. This chicos dish can be served as a vegetarian main dish or side dish. Recipe courtesy the Santa Fe School of Cooking. Bring chicos and water to boil. Reduce heat and simmer about 90 minutes, or until chicos are soft, plump, and chewy. Drain. In large skillet, heat butter and olive oil over medium-high heat. Sauté onion about 2 minutes. Add garlic and continue cooking 2 minutes, stirring frequently. 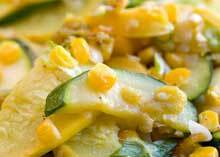 Add yellow and green squash and cook 4 minutes. Add green onions, chicos, and chile; cook 2 minutes. Season with salt, add tomato and cilantro, and cook 2 minutes.